The Trio Necklace has a bohemian-chic design that features a circular design that is perfectly balanced and makes a unique statement when worn every day. The three nested circles range in size from the largest circle at 2.5″ (64 mm) to the smallest circle at 1″ (25 mm). The Trio Three Circle Pendant Necklace AKA the Trio Necklace, from Black Six Jewelry, has a bohemian-chic design that features a circular design that features a trio of handmade rings. Design elements include a large, medium, and a small set of nested circular rings hanging from a hand-tied dark-brown leather cord. This pendant necklace is perfectly balanced and makes a unique statement when worn every day. In addition, its unisex design can be worn by both men and women. 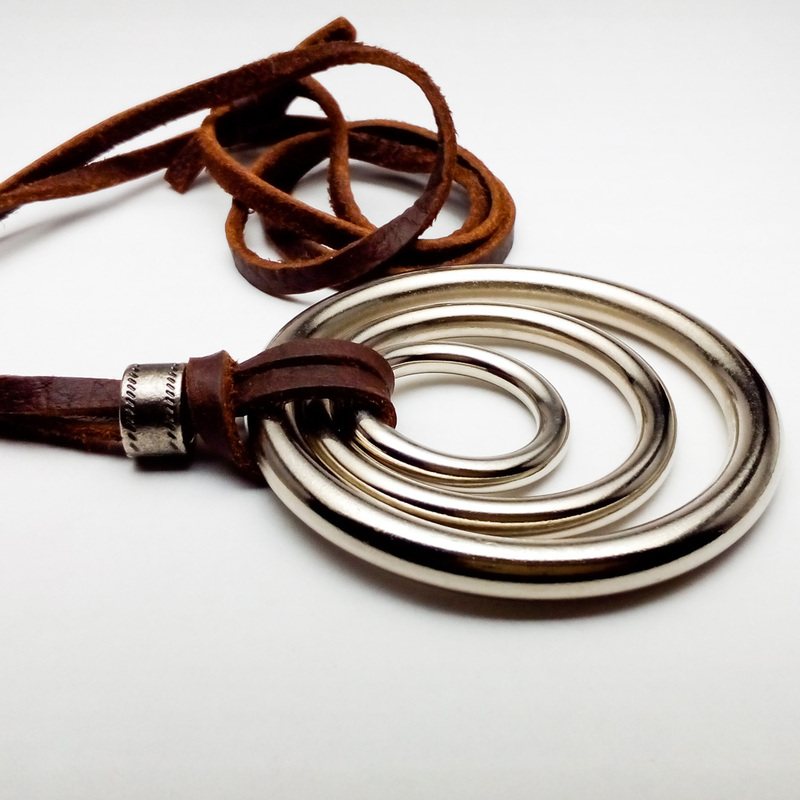 Created by Black Six Jewelry with comfort in mind, the pendant has been designed to prevent catching on clothing and skin. Not every Trio Necklace is individually photographed. 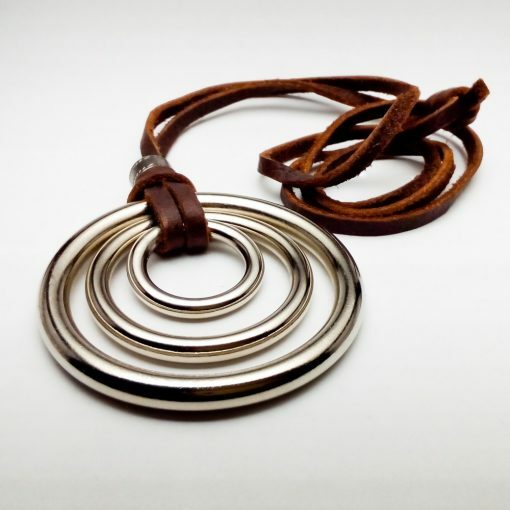 The pendant necklace you receive will be very similar to the one pictured but may differ slightly due to differences and variations during the fabrication process (hammering, patina application, etc).